Lebanon High School Music & Media Production students, 2011. Photo courtesy of the eTech Ohio Conference. People who study arts and music in high school in North America have statistically scored higher on standardized tests like the SATs. Committing time to learning a hybrid creative and technical skill, like playing an instrument, is scientifically proven to enhance one’s focus and concentration, time management skills, and study habits, all of which carry over to a student’s ability to perform better in core subjects like math, English, and sciences. Some schools across the United States have taken this a step further to offer musical programs that both inspire students and prepare them for an actual career in music. (And this is something we take super seriously!) But often, due to widespread lack of funding and many schools prioritizing subjects being tested on a state level over the (untestable) arts, music education doesn’t always get the attention it deserves at this stage. Sometimes it takes a district-wide investment project by a community, or a rogue music teacher going out on a limb to start something exciting, or an after-school nonprofit coming in to make change happen in local classrooms. If you want to see innovation happening in music education, look no further than in these awesome boundary-pushing programs, which we’ve selected for their innovative approaches to learning and exceptional student engagement, particularly with non-traditional music and musicians. Enjoy! Ending the summer on a high note with a feature set in OkayAfrica’s Lincoln Center Out of Doors concert with the renowned DJ Tunez, the Sounds of Brotherhood is comprised of young men attending Eagle Academy for Young Men II in Brooklyn and led by music educator Damarcus Bell. Bringing together a wide variety of popular instruments and vocal styles, the program prioritizes a strong balance between masterful playing of challenging, compelling repertoire as a group and the development of each musician’s creative voice individually. At this unique transfer high school in New York City, young people struggling to graduate are met with an experiential learning model and credit-bearing internship opportunities to connect them with relevant mentors and practical professional experience. Founded by educator Maria Krajewski and counselor/sound healer Alex Falk, MAD Academy is an internship cohort of musicians and artists committed to developing collaborative impact projects as well as individual skills and content. MAD Academy students have been placed in coveted studio internships at XL Recordings, Butcha Sound, Black Lodge Recordings, IMI Studios, and more. Balancing a focus on pre-professional skills development in audio and video production with creative electronic music projects that expand students’ horizons, tech offerings at Lebanon High School took their music department from reaching just 26% of the student population to upwards of 75% within a three-year growth period. 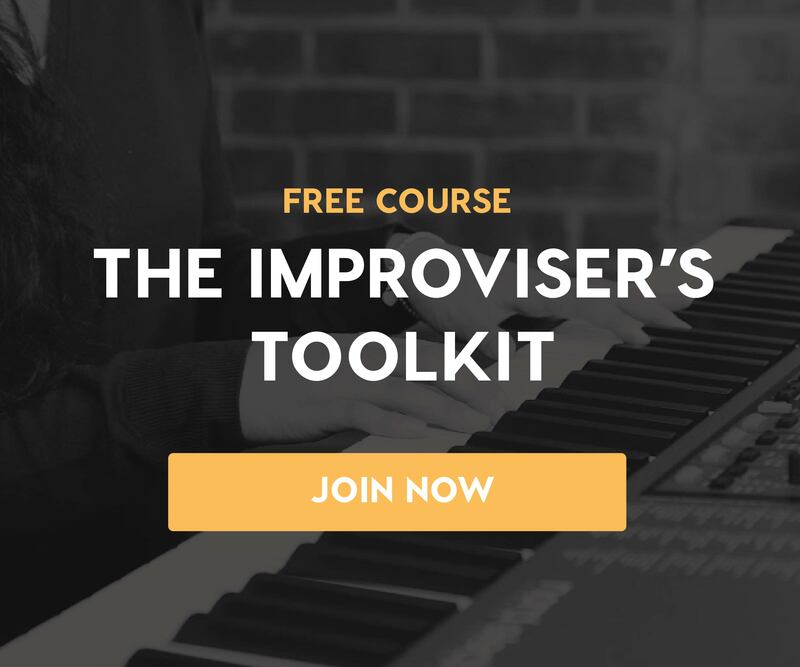 As teacher Will Kuhn says in the above video, “This class is 100% project based,” so students need to learn how to develop a musical project from the ground up, which is really exciting. A success by all standards. The robust Los Alamitos Show Choir Program consists of six unique ensembles: Sound FX, Soundtrax, Xtreme, Connexion, Xquisite, and Axcent. Their program has earned national titles for the past five years, including at the FAME Show Choir Championships and Show Choir Nationals. Led by David Moellenkamp and Moana Dherlin, this program empowers students to develop individual performance skills and collaborative creativity with support from professional musicians, choreographers, and show producers. The music offerings available in this Boston suburb school include the three traditional school program staples (band, choir, and orchestra), but what sets it program apart is the extent to which music electives and clubs include non-performance-based participation such as event management, music production and audio engineering, music industry training, and internal mentorship programs. The above video is a great student-made film documenting their trip to Carnegie Hall in New York City (one of our beloved partners!) and what that experience meant to them, which shows the passion these kids have for all things music! In the past several years, Edna Karr High School has attracted national attention through its feature on NPR, outshined only by its members being featured in Beyonce’s “Formation” music video. Band director Chris Herrero is an alum of the local high school himself, providing him unique context for meaningful impact in the school marching band community. In providing an expressive outlet and additional pathways to attend college and travel internationally, this group is a prime example of utilizing music education for both its own sake and broader purposes simultaneously. The Residency is a summer intensive for high-school-aged students in the Pacific Northwest led by Arts Corps and artists Macklemore and Ryan Lewis, in collaboration with the Museum of Pop Culture. The program culminates with a group showcase at Sky Church in downtown Seattle, and focuses on developing creative and pre-professional skills in music. After 10 years teaching band and orchestra, music educator Richard Maxwell has traded his traditional directorial role for one of an “executive producer” in the student-run label housed at Arcadia High School. With a (rarer than you’d think) focus on developing pre-professional skills needed in the world of music, this program shines as a beacon for how the model of a student-run record label can thrive nationwide. It would seem that the next generation of music entrepreneurs will have some pretty cool ideas for how to do things, and we can’t wait to see what they think of! I hope you enjoyed this list. There are countless other schools across the country with inspiring music programs, we wish we could profile every one of them! Do you have a favorite school program or teacher? Share yours in the comments! Jamie is a mentor for Soundfly’s Unlocking the Emotional Power of Chords and The Creative Power of Advanced Harmony. If you’re interested to work with her on your next music project, just fill out this form to tell us about your goals, and be sure to mention Jamie’s name in your response!